In lieu of flowers contributions can be made to the Alzheimer's Association or AFUMC. 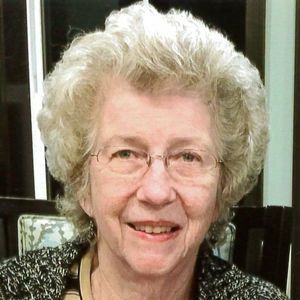 Carol Faye Bigbee, 81, of Ankeny, passed away April 8, 2019. A funeral service will be held at 11:00 a.m., Thursday, April 11, 2019 at Ankeny First United Methodist Church. A visitation will be held from 4:00 to 6:00 p.m., Wednesday, April 10, 2019 at Memorial Services of Iowa Funeral Home. Carol Faye Peters was born October 14, 1937 on a farm near Marengo, Iowa to Forrest and Hazel Peters. She attended country school until 8th grade, and then went on to graduate from Marengo High School. While growing up, she helped on the family farm, was involved in 4H, played the organ at church, and sewed clothing for herself and others. She married Marvin Bigbee December 28, 1957. Carol enjoyed spending time with family and friends, camping in a motor home, attending her grandchildren's activities, sewing, quilting, and gardening. She loved her family, and anyone who was a friend, she would also consider as family. She cared for people throughout her life and always made them feel welcome and loved. Carol is survived by her Husband Marvin; two sons, Kurt and Kevin; seven grandchildren and three great-grandchildren. She was preceded in death by her parents Forrest and Hazel, a brother Richard Peters and son Scott. In lieu of flowers, memorial contributions may be made to the Alzheimer's Association or Ankeny First United Methodist Church. Marv-and family. Don and Sandy are very sorry to see Carol has passed. Heard she was sick. Thinking of you and your family. My sincere condolences, Marv, on the loss of your wife. As widower myself, I can reflect on your loss.